I’ve been in a bit of a weather fug, again… it was another cool, grey week for the most part, which I found somewhat depressing. However, the forecast was for a bright, sunny Sunday… and for a change, the forecast was actually RIGHT! It’s so good to see a blue sky with sunshine today… even if it it’s still a tad chilly. That forecast of sunshine got me thinking about shoes… Spring and Summer open up so many footwear options, don’t they? Basically a boot which you’re willing to wear with your summer frocks and wot not. These are in essence, just any old ankle boot which you’d although you might wear during winter as well, but it’s more about colour I guess. These Zara Leather Mock Croc Cowboy Ankle Boots are a good option, and a great price at £49.99. It goes without saying that his style of boot work with jeans and trousers, but they also look pretty cool worn with most styles of skirt & dresses as well. However, if you are sick to your back teeth of wearing boots after the long, long, never-ending winter (which does thankfully, eventually end!) then hi-top trainers are a great option, which again, work with pretty much any and every style of outfit. Converse would be my go-to, simply because they offer a vast array of colour and print for most tastes. They’ve definitely been calling me. I think I am the only (high street) fashion blogger on Instagram who doesn’t “do” leopard / animal print. But I think it’s pretty well documented throughout my blog, although I don’t feel quite “me” in leopard print clothing, it doesn’t mean I don’t hanker after it. Mainly leopard print shoes to be exact. 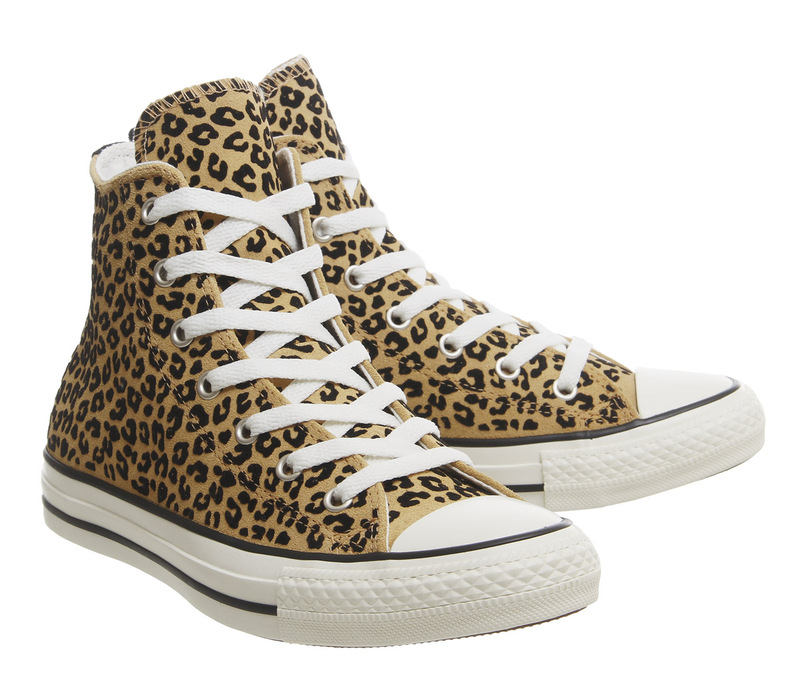 … I think these hi-tops would be a versatile addition to any summer shoedrobe. My final summer boot option, is more a desert style of boot. I’m pretty certain that this final option is no doubt a marmite style of boot, with many seeing it as that bit too boring and frumpy perhaps. I like boring and frumpy sometimes! 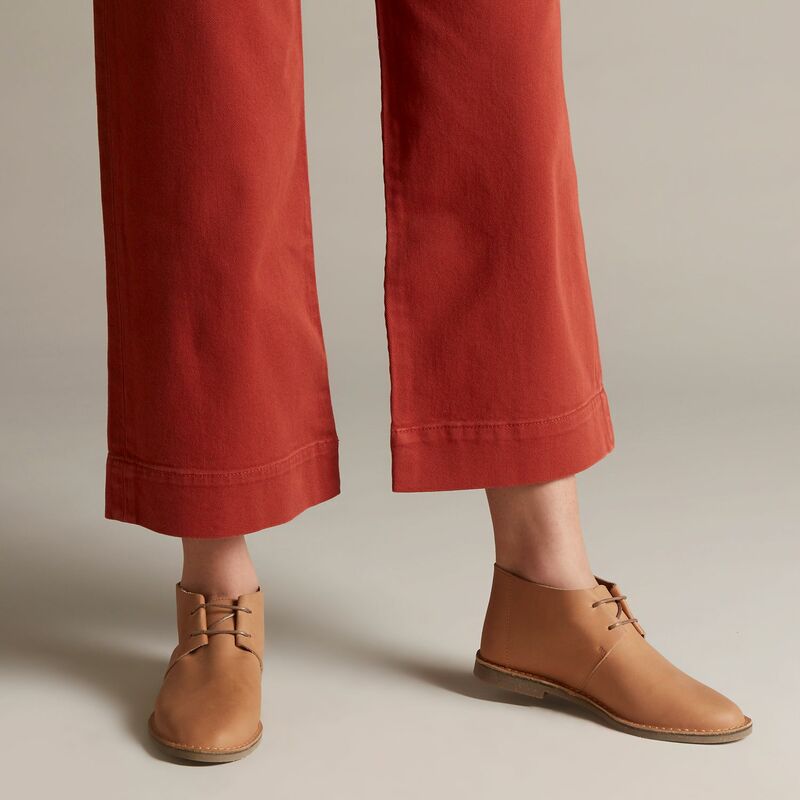 Sticking with covered toes for the moment, the flat summer slip on shoe, whether a loafer, slingback or ballerina is a great option for those who work in more corporate environments or of course, those who haven’t quite got round to doing (re-doing) their pedi’s! Whilst magazines and social media are ramming the ‘square toe’ as this season’s ‘must have trend’, we all know in reality, pretty much any and everything is a ‘go’ in fashion nowadays, isn’t it? There’s ultimately nothing – as in – no, or certainly very little that is a ‘brand new innovative’ design. 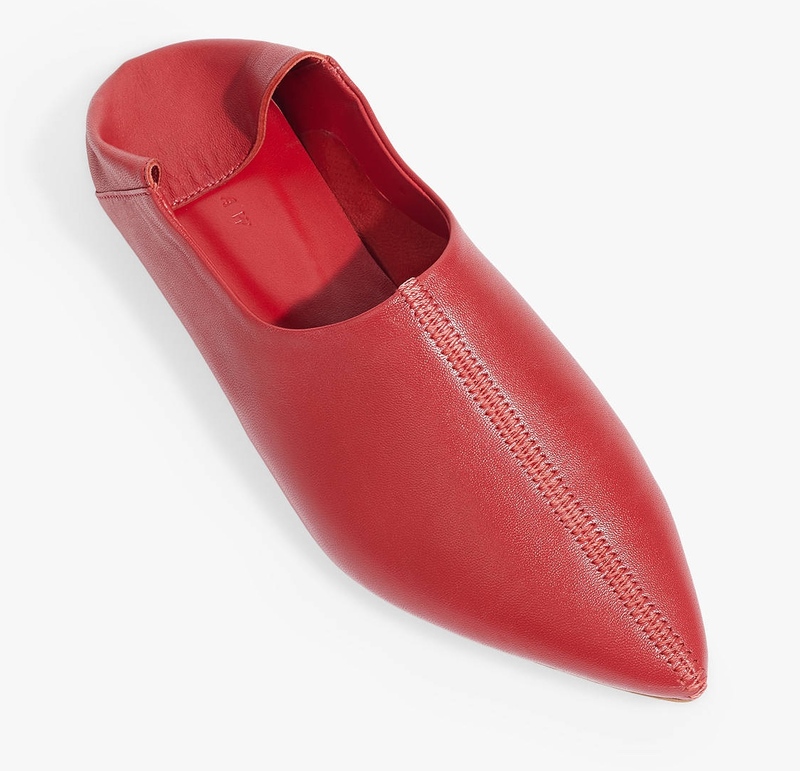 For example, these Next Slingback’s are an asymmetric cut across the toe. They’re also available in a black snake effect as well. And onto loafers, with added interest rather than being too formal. After all, we’re talking spring- summer here, right? They’re available in Black, Navy and Yellow as well, but as you all know… I’m kinda mad for all things pink at the mo. I mean… how cute do they look? I had no idea how much I needed pink loafers in my life until I spotted these! And finally, although this last pair are described as ‘ballerina’ on style, they are, in fact… a bit of a nana-flat, right? I have these Mango Leather Ballerina’s (£49.99) from a couple of years back, and I can attest to both comfort and value for money. Mine have literally been worn to death and as such, are looking decidedly ‘tatty’ and in need of replacing. However, I’m going to see if I can’t squeeze another summer out of them… I just need to give them a good clean, and perhaps get them re-soled: which is the responsible-fashion thing to do, regardless of how much a new pair may be calling me. 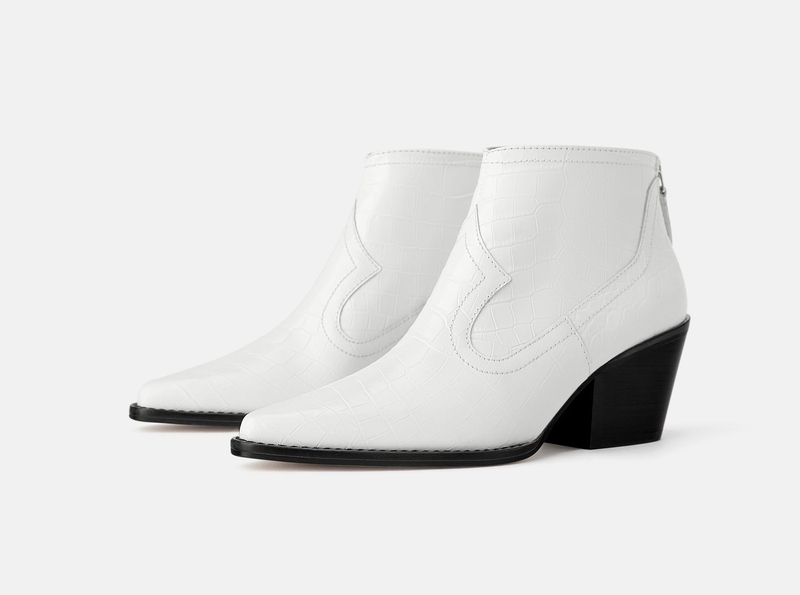 Mine are white, and just as with any white footwear, whether boots, trainers, sandals, or indeed, nana-shoe… they literally go with everything. If white doesn’t float your boat however, then these are available in a deep burgundy and Tan as well. I’m going to start with the ‘fugly’ classics – Birkenstocks. Many favour the double strap Arizona style of Birky, but I’ve never got on with these. Primarily because my feet are too small & narrow so the whole double strap thing – regardless of the number of times I’ve tried, just don’t work on my feet. 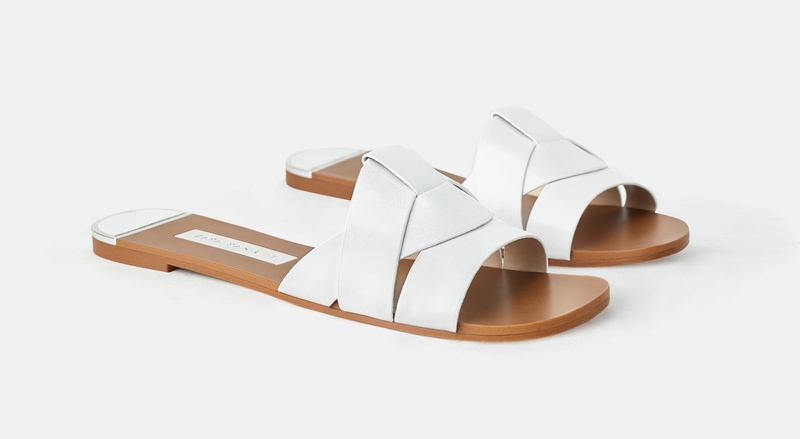 These Birkenstock Madrid Big Buckle Sandals (£79.99) would be my first choice. I like the Congac colour which would work with so many colours and prints, but it’s the added detail of the bigger buckle (than on standard Madrids) which I’m drawn to. … pleasing only if, like me, you are partial to a fugly-slide, of course! Speaking go fugly… next up, are pool slides. And by that, I mean that there are many of us who chose to wear our ‘sliders’ when we are in our normal day to day lives and no where near a beach or pool. What would I wear them with? Wide-leg crops, denim, some dresses and skirts… and of course, they’d be perfect for holidays. 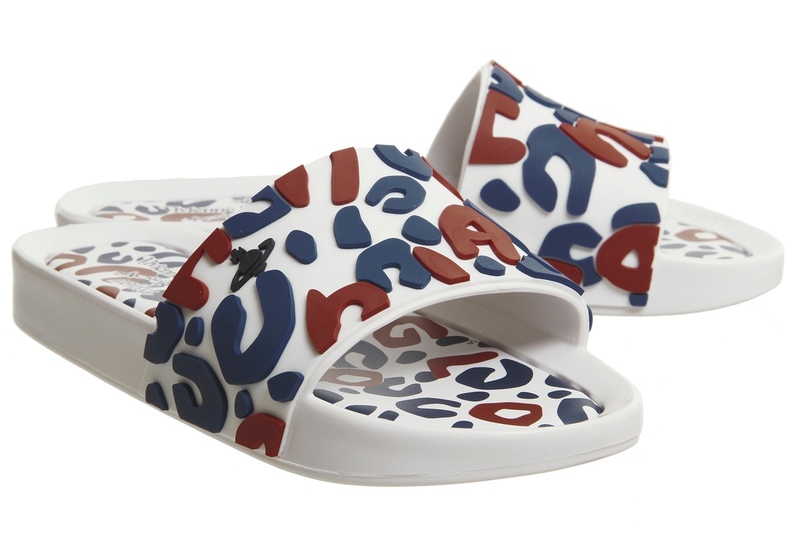 I used to *always* go for flip-flops over slides when I was younger… and although I don’t mind a flop, I’m definitely more a slide kinda gal in my old age. Definitely a smarter and prettier slide option. Which are also available in Tan, Pale Blue, Yellow and Black. 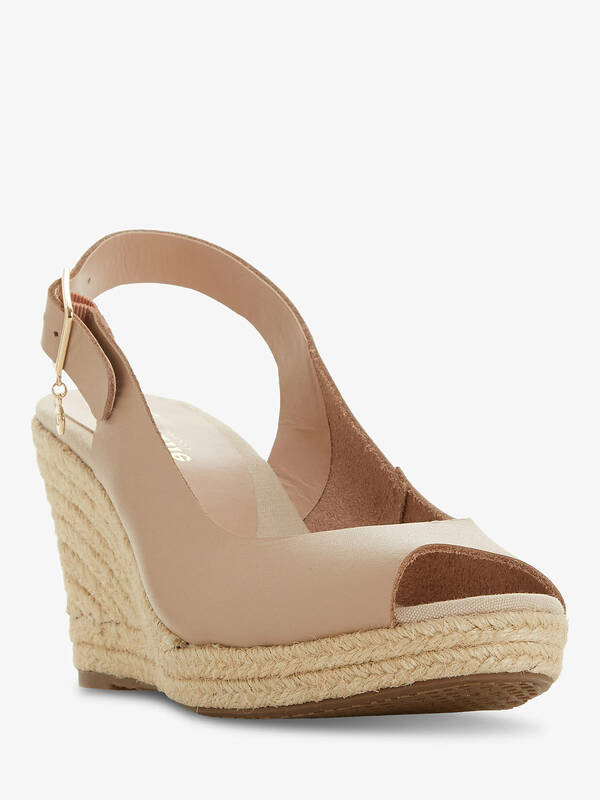 So… I’m not the biggest espadrille wearer… primarily because I’ve often found them ‘too heavy’ for my granny-knee. But it’s more than that… regardless that I love the look of this style… I guess they’re not very ‘me’ in that I so very rarely find myself reaching for the ones I do own. They are a classic though, and it goes without saying… I love the look of them! Espadrille.co.uk pop up all over my instagram at this time of year on the feed’s of various stylish ladies I follow. And again, this Ankle Strap version are £78. If you’re in the market for a pair of ‘drilles, I’d definitely start with this site, given the multitude of colours, wedge heights and straps available. These are also available in black. But, hand on heart… my knees don’t fare well with wearing a wedged heel. These Mushroom Rose Gold Toms (£44.99) are a perfect casual holiday ‘drille for the flat footwear lovers amongst us. Now some of you might say that a ‘mule’ and a ‘slide’ are, in fact, one and the same in Style. However, for me… and I’m not entirely certain as to why this is… will always have a closed toe. So why even bother having the back in the first place? Well… it’s just the style, innit?! 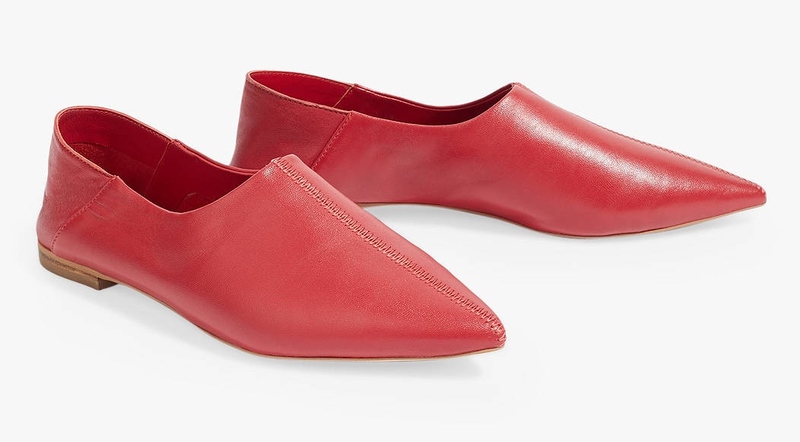 Plus, unlike many other backless loafers… these are ultimately, only open at the back/heel rather than half of the foot out. 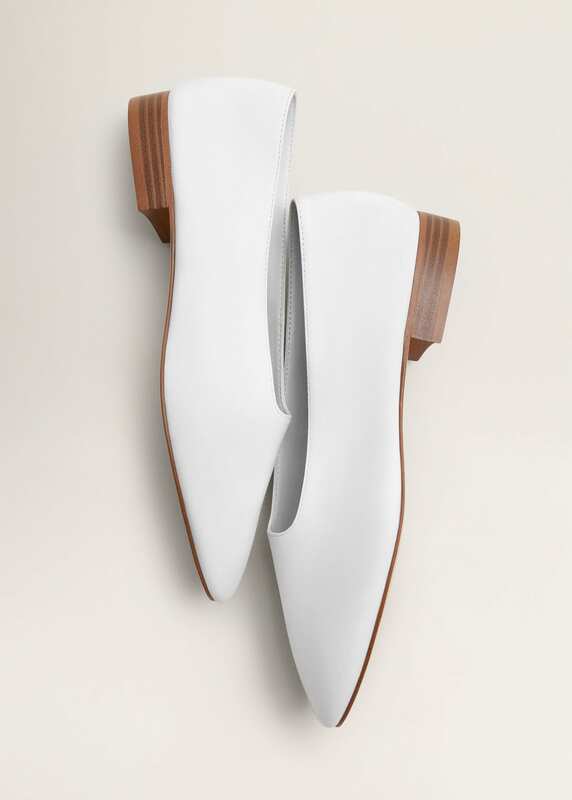 Possibly not for everyone, but I happen to think they add an bit of French chic to your outfit. These Jigsaw ones are also available in Black. These would look especially good with some faded summer denim, whether jeans, shorts or a skirt. So this style isn’t really for me. 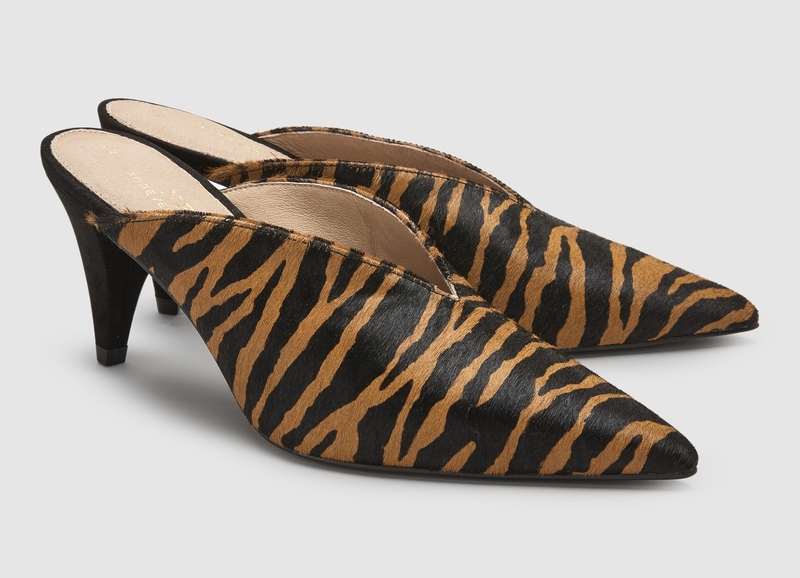 These Tiger High-Cut Cone Heel Mules (£48, also available in plain black) are lovely looking, and I briefly deluded myself this time last year into thinking I needed a pair in this style (Topshop had similar at the time…) but as lovely as the over-all shape and style is, they probably wouldn’t have gotten much wear. But as I a shoe-lover, I couldn’t not include them. A sure sign of Spring is the emergence of canvas trainers. These Converse Ctas Ballet Lace Trainers (£44.99) are especially cute and giving me all the summer feels. As ever, converse have such a wide range of colours and styles, there’s something for everyone. 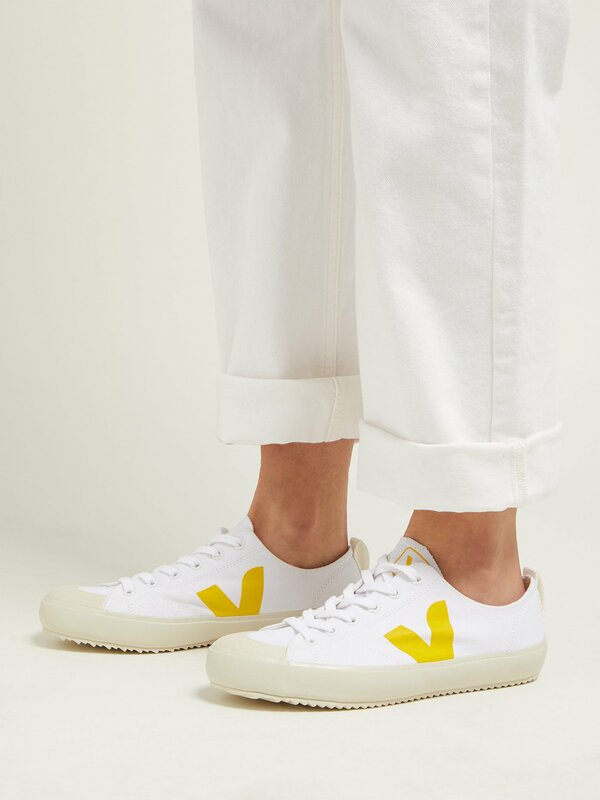 If you’re after something a little different, with good, strong, feel-good, enviro creds, you can’t go wrong with a pair of Veja’s. I have a pair of Canvas Wata Pierre’s which are almost two years old now, much loved and worn, but still going strong. 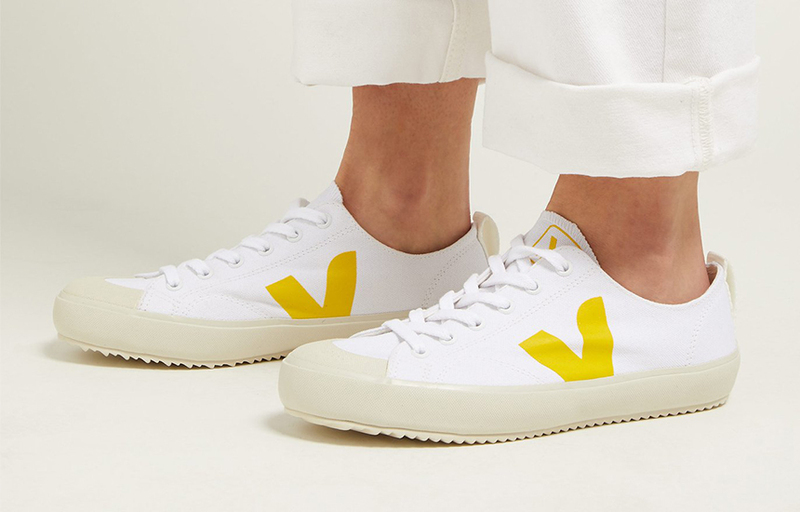 Veja trainers are pricey, but they are also hard wearing and look fab. And finally, if you’re looking for a slightly chunkier style of canvas trainer, these White Superga’s (£64.99) might fit the bill? Although, in all honesty, I’m not completely sold on them just by looking at the photo; definitely ones I’d have to see and try first. Before I gave my job up to become a stay at home mum, I’m pretty certain I didn’t wear open-toed sandals quite as much as I do now. 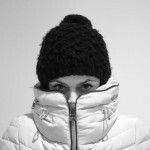 I wasn’t a fan of wearing them on the tube to work, nor in the freezing cold air-con offices I worked in. Plus, I had a massive aversion to seeing other peoples…erm… somewhat ‘neglected feet’ in meetings and wot not, so as a general rule of thumb, my toes would be covered for most of the working week. 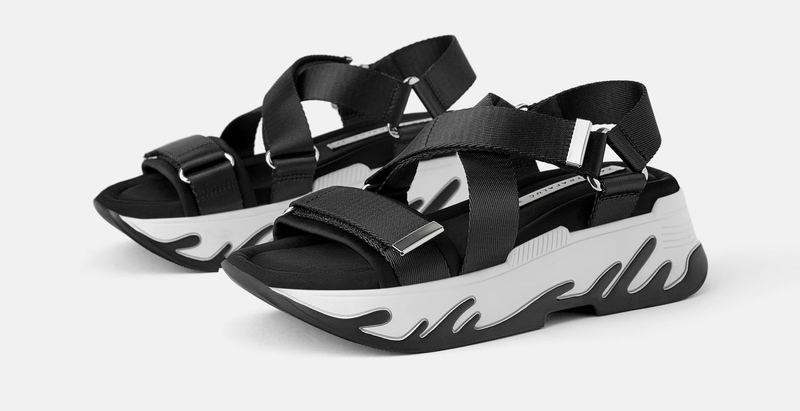 Anyway… I digress… sandals *are* of course, the ultimate summer footwear, right? Again, in the fugly category and most definitely not everyone’s cuppa, but I can only imagine they’re actually pretty comfortable. In terms of what they’d look good with? It’s that bit of neon: love it! Absolutely loving the minimal, simplicity of this style. They are available in Snake print and Plain black as well. 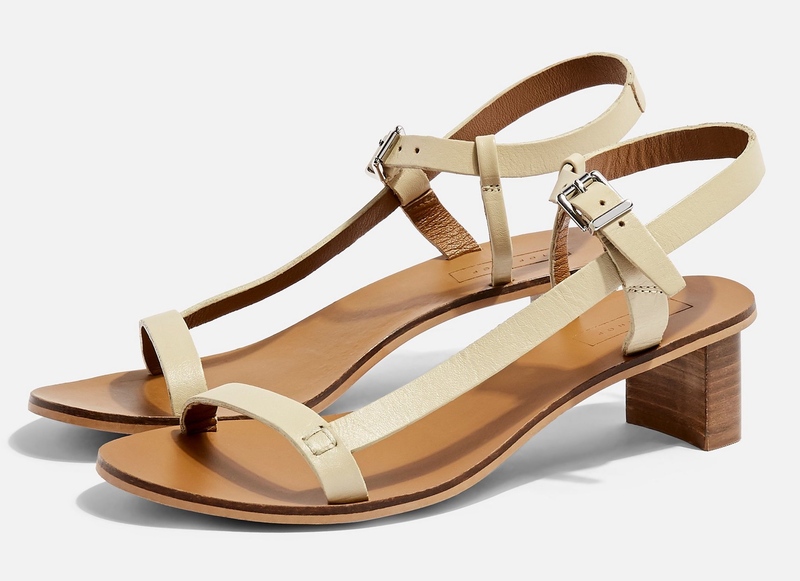 As well as Topshop’s flat, strappy, bargainous £19 Hazy Sandals; I’ve heard mixed reports about the comfort factor of this style after featuring them previously, but for the price, I’d say they are definitely worth a punt! I adore these in gold, which look so good in the sun, but they are also available in black, tan and yellow as well. And that’s it for today’s somewhat bumper Sunday 7! Apologies that there’s no Stinker or Wildcard looks this week… they’ll be back though. That said, I have been wondering whether to shake things up a little on my Sunday 7’s, and would be very much interested in your thoughts. I was wondering whether you’d like to see someone else picking the Stinker / Wildcard for me, though I’d still style the looks up? Or, perhaps having a Guest curate the wildcard looks – all of them, or just one look? Or is that just too much change, and do you think I should stick to my tried and tested format? Very much interested to hear your thoughts on this, as well as all my picks this week. Do leave a comment below, and I’ll get back to you. I kept wondering whether I should include more ‘feminine’ styles, but you know, you can’t change what you get heart eyes over, right? 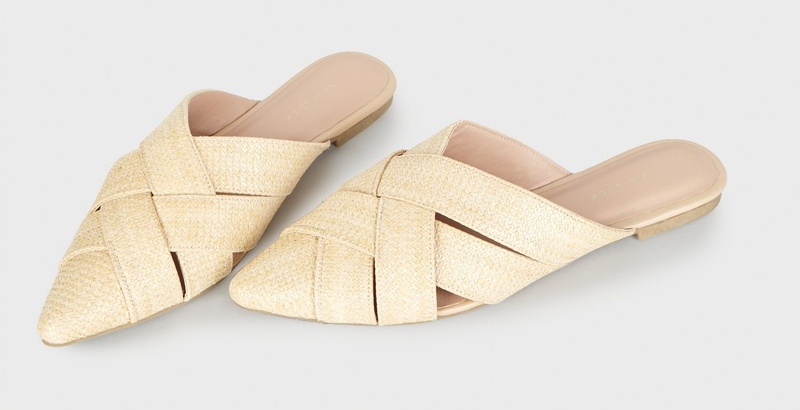 You chose well with those snake cons And I’m suddenly wondering whether to return my strippy sandals (not worn out yet,) in favour of these Toppers ones instead. Such a dilemma! Hey Tracey! Thanks for dropping by… I’d love to be able to wear double strap birkies but alas, Madrid’s are the only ones which work on me. I’m thinking about returning my strippy Toppers sandals in favour of these Venus ones. So fickle, eh?! Hi Marie, thanks for dropping over. I know what you mean about the pink loafers: who knew we needed them in our lives? Such a lot of work in this post, love some of the choices. I do tend to stick to Birki’s and similar in summer..the Vans and Fitflops also come out. I do a bit of boring, but more in tune of having painful feet, so stick to comfort. Love a bit of Leopard print on an accessory..roll on the warmer, sunnier days! Aw thank you so much for dropping by! I sometimes think that boring… or classic, one might say (!) is best given the amount of wear those pieces get. I cannot wait for milder, warmer, sunnier weather: totally done in by the cold this year!